Life, liberty, and the pursuit of happiness cannot fully coexist with the likes of prohibition. Anyone who has taken history class in America knows the story of how our country was founded. A group of colonists were fed up with England and decided to break from the country and start a new one. The Revolutionary War was fought and won, at which point it was time to create the document that would govern the country into the future. That document was of course the Constitution. 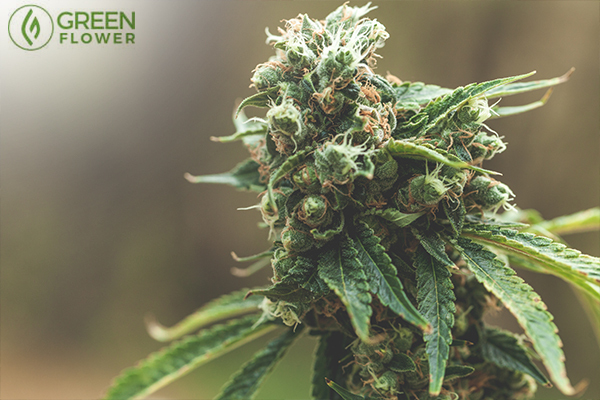 When the Constitution was created, cannabis was completely legal in the newly formed country, and cannabis could be found growing in the wild all over the country. Obviously we can't go back in time and ask each Founding Father how they felt about cannabis, but we can gain some insight into what they may have thought by looking at how they treated cannabis at the time, and by analyzing the intent behind some of the provisions included in the Constitution. Hemp used to be a big part of America's economy. A number of Founding Fathers grew hemp for industrial purposes. At the time of the Revolutionary War, hemp was grown for making rope and other goods and was a big part of America's economy. When someone searches online for facts about America's Founding Fathers and cannabis, there is a large amount of quotes that are fake. Whether or not Thomas Jefferson consumed cannabis is undetermined. It's not that we know for sure that he didn't, we simply don't have proof that he did. George Washington is another Founding Father that is often identified as being a cannabis consumer. No definitive proof exists, but some of George Washington's diary entries indicated that he had a strong desire to harvest cannabis that was 'blossoming,' and sought to seperate 'male from female hemp plants.' Both diary entries are consistent with cultivating practices associated with adult-use cannabis consumption. America's Founding Fathers were obviously looking to limit the abilities of the federal government. After all, that's why America was founded - to move away from England which had a powerful central government that held all the power. Various types of governmental structures were explored, including a confederacy which would have given a tremendous amount of power to the states, with little power given to the federal government. The drafters of America's Constitution ultimately decided on a federalism model. In a federal system, power is shared by the national and state governments. Other provisions of the Constitution's first ten amendments corroborate the theory that America's Founding Fathers were against the idea of an overbearing federal government. The Fourth Amendment protects against unreasonable searches and seizures, and the Eighth Amendment protects against cruel and unusual punishments. Both amendments have been directly implicated in the war on cannabis. What would the Founding Fathers think today? Cannabis prohibition was an experiment that has failed miserably. The Founding Fathers of America lived at a time when America was an agrarian society. I would imagine the thought of certain agricultural plants being banned would seem very odd to them. With hemp playing such a large role in their lives, strong indications that at least some of the Founding Fathers consumed cannabis for enjoyment and wellness purposes, and what is contained in the Bill of Rights, I feel confident in saying that America's Founding Fathers would oppose federal cannabis prohibition. That is an opinion which is shared by many members of the cannabis activism community, various scholars, and at least one current Republican in Congress. Utah Senator Mike Lee recently replied with 'yes' when asked if he thought the Founding Fathers would have supported states rights when it comes to cannabis policy during an interview. Cannabis prohibition is something that has evolved over the years, with prohibition remaining in place for various reasons. It is likely a situation that would have saddened America's Founding Fathers, who wanted to see an America where things like federal raids and lifetime prison sentences over a plant wouldn't occur. 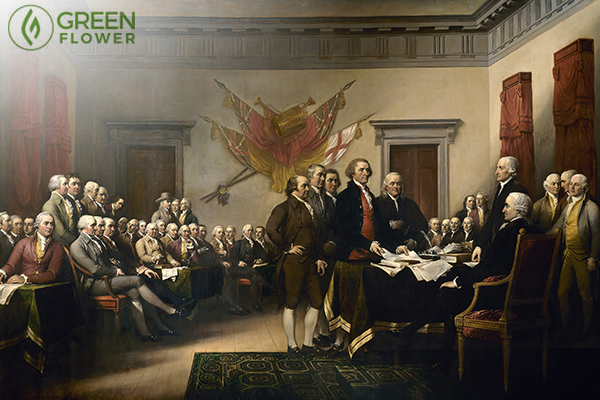 If you think America's Founding Father's would appreciate cannabis reform, share this article and spread the word! 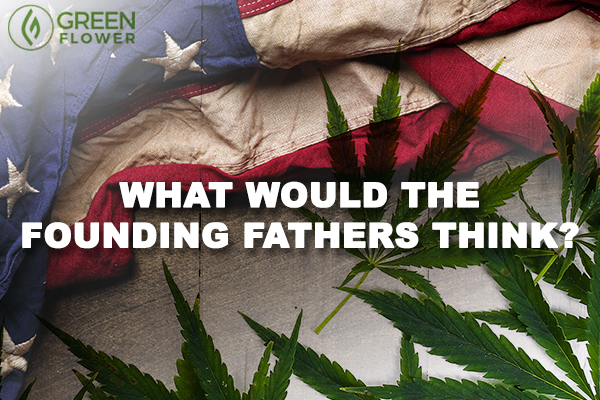 Do you think that America's Founding Fathers would support cannabis legalization?